Kinesio Taping (k Taping) technique was developed by Dr. Kenzo Kase in Japan over 25 yrs ago. It was developed to assist the healing of traumatised tissue rather than simply immobilising the joints. K taping allows movement in the affected tissues, which helps aid lymphatic and muscle systems encouraging lymphatic fluid movement away from areas of high pressure (reducing swelling) and towards working lymphnodes (speeding recovery). Kinesio tape can be used in a variety of circumstances to help improve recovery speed and improve fitness levels, and also help to aid muscle contraction or promote relaxation by affecting the stretch response of the muscles. Some common uses for K taping are muscle strains/tears, joint sprains/instability, bursitis, tendinitis, contusions, facial restrictions and scars. It can be used in the treatment of back problems, neck and shoulder pain, muscle tension, joint dysfunction or disc problems as well migraine, common headaches and physical effects of stress and tension. 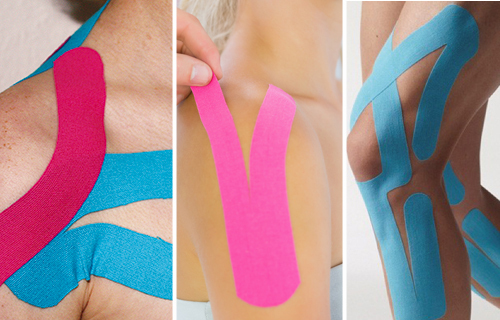 Developed and improved over the last 25 years it is now an important component and complementary to many established treatment methods to discover more about the benefits of Kinesio (K taping)please call Mick for more information.